Along with hundreds of companies who joined the #ACT4SDGs campaign on http://act4sdgs.org/, we want to take a moment and raise the awareness of the progress the world has made up to date. At the same time, we'll take a look at the statistics that show what areas can be further improved if you and I take the action and act4sdgs not only today. According to Ana Revenga from the World Bank (2016), there are 3 main areas to work on to achieve the goal. "What’s needed is economic growth that improves the income-generating opportunities of the poor. This kind of growth involves either raising the value of the agricultural products that the poor are producing or generating better jobs. Anywhere between two-thirds and 80 percent of the decline in poverty rates is due to this kind of economic growth." At the same time, she mentions that education systems and effective social safety nets are necessary for the wholesome result, which proves the link between the SD goals adding value to each other's success. You can find out more about the methods with eye-opening examples and country success stories by reading the full interview. 2nd goal: End hunger. The bold yet possible plan is to eradicate this issue completely by 2030. 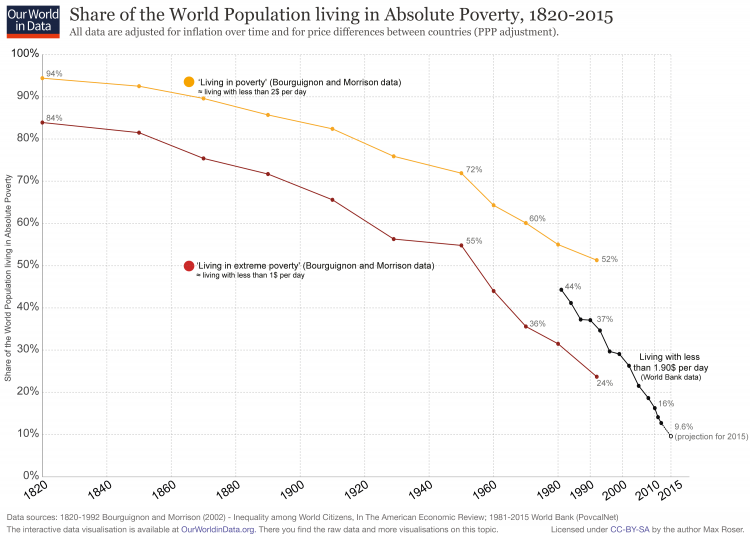 Seems very reasonable to think that it is very much connected to eradicating world poverty. Ending hunger and fighting povery is not only about creating opportunities and educating people, not only about food/money donations, but also about details starting from educating the rest of the world about the food waste (in many countries, we waste about 40%) ' to teaching people in the developing regions about birth control. 3rd goal: Good Health and Well-Being. There are many areas and, hence, targets that the UN includes in the goal. In 2015, new benchmarks were set to each of them, from child mortality to the tobacco use. "Significant strides have been made in increasing life expectancy and reducing some of the common killers responsible for child and maternal mortality. Major progress has also been made on increasing access to clean water and sanitation, reducing malaria, tuberculosis, polio and the spread of HIV/AIDS. However, many more efforts are needed to control a wide range of diseases and address many different persistent and emerging health issues." - UN explains. Updates are coming up in the next blog post already tomorrow. Remember: being informed is good but makes no sense unless you put it to a good use. Analyzing the abundance of information and applying it is what makes you intelligent.